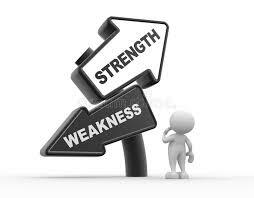 Understanding your strengths and weaknesses can be of tremendous value for your life and career. This awareness is invaluable because it will help you focus on the right things in an optimal way. This will of course also help you make better career and life decisions moving forward. You will naturally focus on the right things that have the biggest impact on your exams. You will save time by focusing on things that will bring you the greatest result. You become more resourceful and therefore make better decisions every single day. You put yourself in a position to raise your standards and therefore improve your results. You can contribute more value to others and to the world around you. You will naturally improve your levels of self-confidence. You can focus on spending your time on subject area analysis that bring you most confidence and self-assurance. You can delegate tasks and projects to people that are more proficient in getting them done. You can dramatically reduce your levels of stress, anxiety, overwhelm and frustration by focusing on just the things you are naturally good at.